Struggling with your eye makeup because of your monolid eyes? Worry not, since we’ve got you covered. You no longer need to scour through tons of YouTube tutorials and Pinterest posts to find the easiest monolid tutorial, as we’ve rounded up some of the basic and doable eye makeup tricks for your specific eye shape. So take note of the following tips and test them out yourself. While most ladies with monolid eyes prefer drawing dramatic feline flicks, professional makeup artists actually suggest practising tightlining tricks instead. Tightlining aids in defining your eye shape and making your eyelashes appear fuller sans the mess and product waste that involves drawing thick cat eyes. While you may think that it won’t do much, test it out and see the difference it can actually make with your monolids. Using a liquid eyeliner can get messy at times, but the preciseness of its application is what actually gives the illusion of having double eyelids. 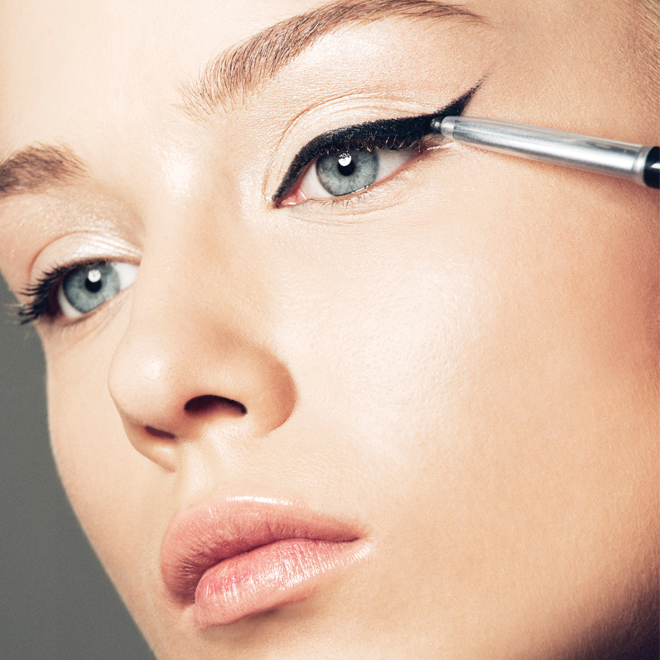 Using a quality liquid eyeliner, draw a crease on the outer thirds of eyes and drop it right at your lash line. To get that extra definition, simply drag your liner outside the corners of your peepers to create a little wing. Just avoid getting too crazy with the flick, since the illusion of having a crease looks a lot better when you’re going for a natural look. To give your eyes more dimension, consider going for a smokey eye look. 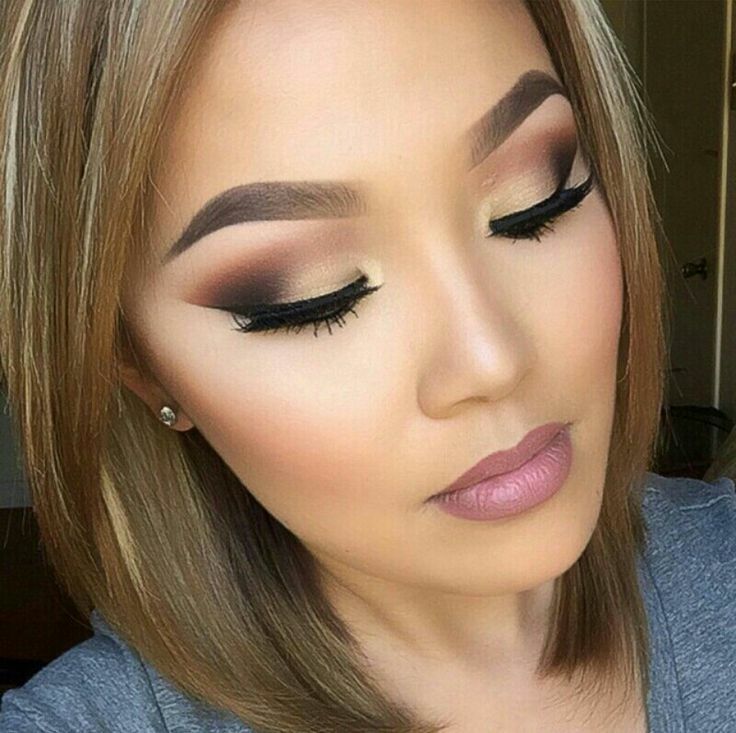 Go for a more natural smokey eye look by using smoky brown shades. Remember to accentuate your sockets using dark hues, highlight your eyes with shimmery colours, and simply blend it all together to create a natural-looking smokey eye look. If you want to continue using your eyeliner but don’t have the time to even them out, simply apply a coat or two of your trusty mascara on your eyelashes to hide the uneven looks. 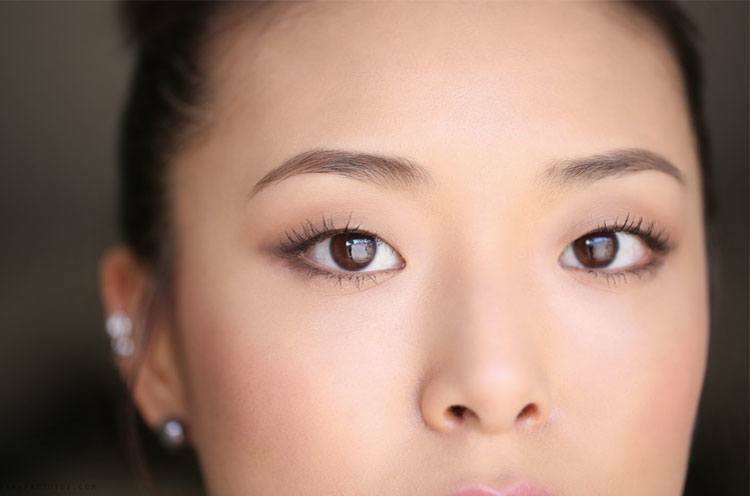 If you have sparse eyelashes, opt for a volumizing mascara to help in defining and opening up your eyes. Because monolids often end up hiding the eyeliner, most ladies try to compensate by drawing thick feline flicks. It could look good if you keep your eyes open all the time, but since it’s not possible, applying thick cat eyes could end up making your look appear too jarring and harsh. To keep this happening, simply use an eyeshadow palette when drawing your flicks instead. With this, you’ll be able to use as much product as with your eyeliner, but it won’t look as harsh. Applying eye makeup on monolids can be quite challenging at first, but if you’ll get the hang of it – and learn all the necessary tricks – you’ll definitely be able to pull of any eye makeup look that you want sans stressing out about your monolid.